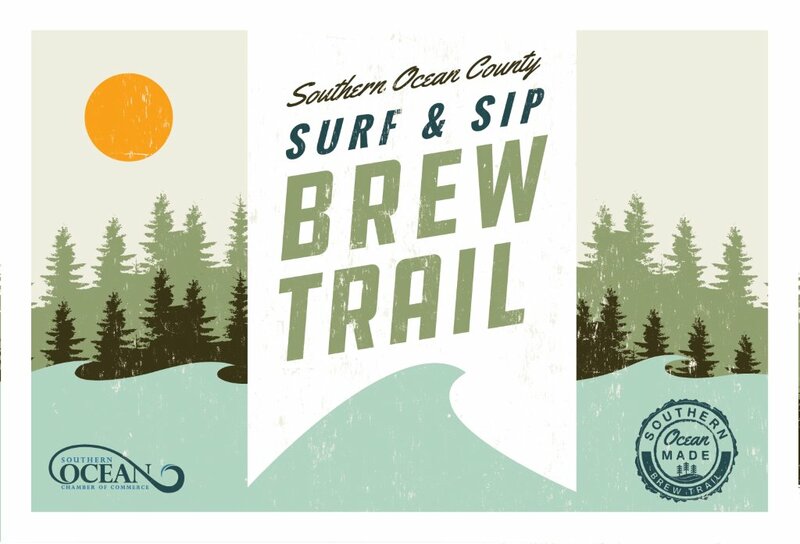 Your Long Beach Island vacation is planned and you are interested in a way to travel around LBI without having to drive your car but unsure which bicycle rental option is best for you. To ensure you have the best bike rental experience, we have gathered our recommendations below for the rentals we offer here at Shore Brake Cyclery. Our beach cruiser bike rental is the number one rental bike island-wide. 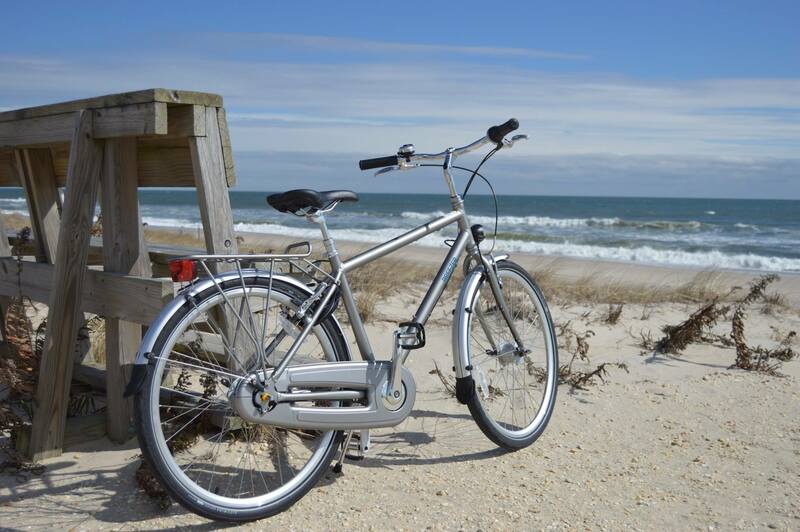 This single-speed bicycle provides riders with a relax, pedal forward design which makes this bike rental great for basic riding on Long Beach Island, including to and from the beach and locally to restaurants and bars. 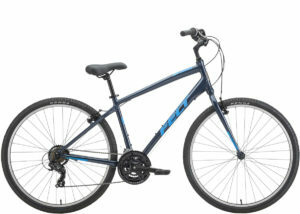 Our rental fleet includes men and women bikes from Fuji and Phat Cycles. 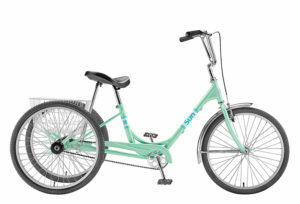 The beach cruiser rental is the best option if you have a little one that is not quite ready to ride on their own yet. 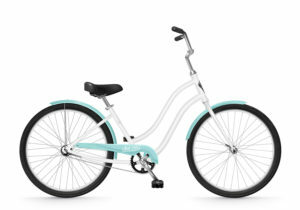 Each beach cruiser rental has the ability to have a baby seat, tag-a-long or trailer attached to make your vacation cycling hassle-free. 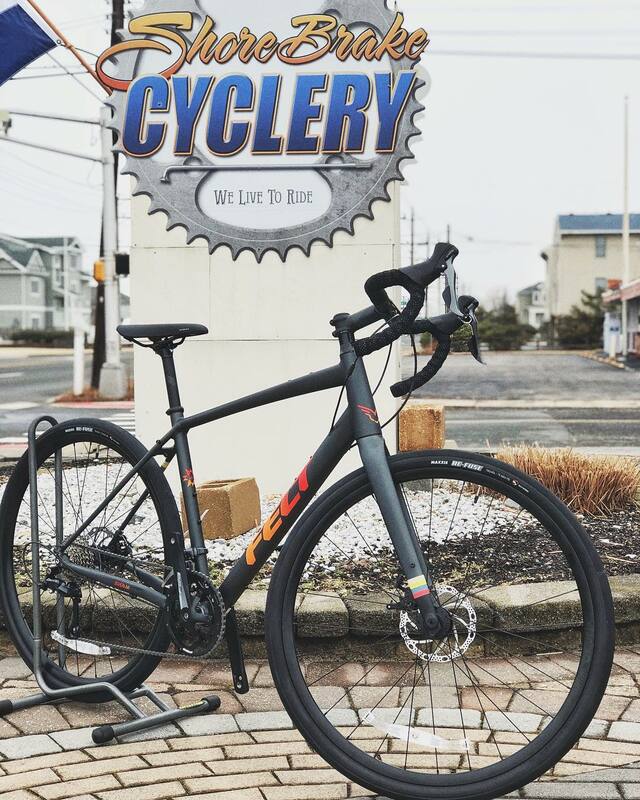 If you are interested in exploring all of Long Beach Island, a bicycle with gears will get you to either end of the island comfortably and quickly. The island can become very windy, so having the ability to switch gears will make your ride easier when you are riding into the wind. Our comfort bike rental fleet is made up of the lightweight aluminum frame Felt Versa Path which makes this bicycle both durable and easily maneuverable. 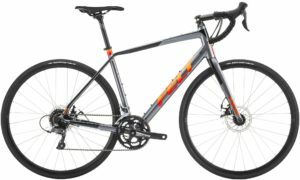 Whether you are looking for adventure and speed or you want to continue your training without the hassle of packing your bike, then our road bike rental is the best fit for you. Long Beach Island is 18 miles long with Long Beach Blvd spanning the whole length. This provides a great opportunity to continue your cycling training right here on the island. Our team will make sure you have all the gear you need to make your riding worry-free, including a flat repair kit. The Felt VR60 with an aluminum frame and carbon fork is the core of our road bike rental fleet and is available in array of sizing. 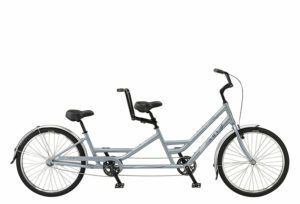 Our Sun Traditional Trike rental is built with comfort, stability, durability and practically in mind. 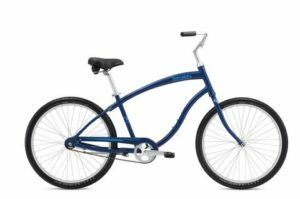 It features a super low step-through frame, upright riding position, a western style saddle for comfort and a large cargo basket in the back. 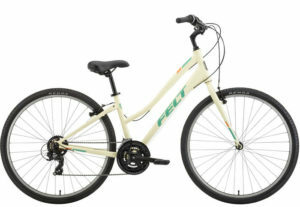 This is the perfect bike rental for riders that are mobility impaired, new to riding or interested in a more stable ride. Have small children that want to ride solo during your Long Beach Island vacation? 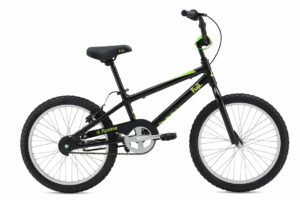 Renting their own Fuji Rookie bicycle is a great way to allow them to have the independence they are craving. We have sizes 16” and 20” single speeds available all summer long. Our tandem bicycle rentals are great if you are looking for a little romantic bike adventure. Ride our stylish Sun Brickell tandem bike with your sweetie as you explore the island. All bike rentals from Shore Brake Cyclery come with helmets, baskets and bike locks. Find more information on our bike rentals including online booking here. Have additional questions? 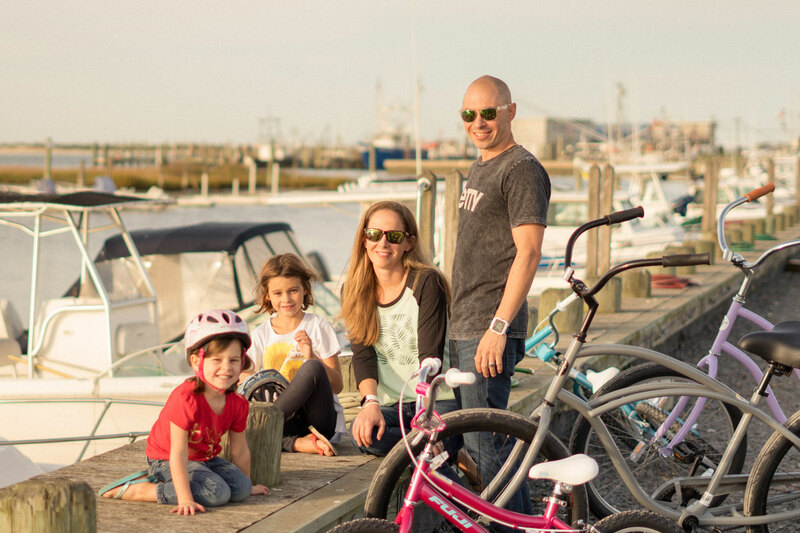 Give us a call at 609-342-0480 and our team will be able to help you select the best bicycle rental to ensure the best Long Beach Island vacation.